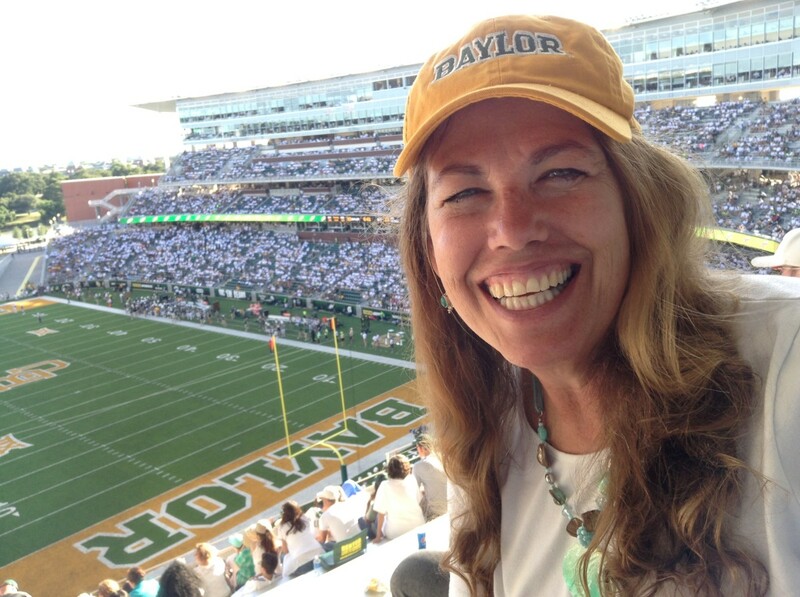 Carisa lives in Oklahoma with her family. She received this menu through a military officer and now wishes to make it available for anyone. 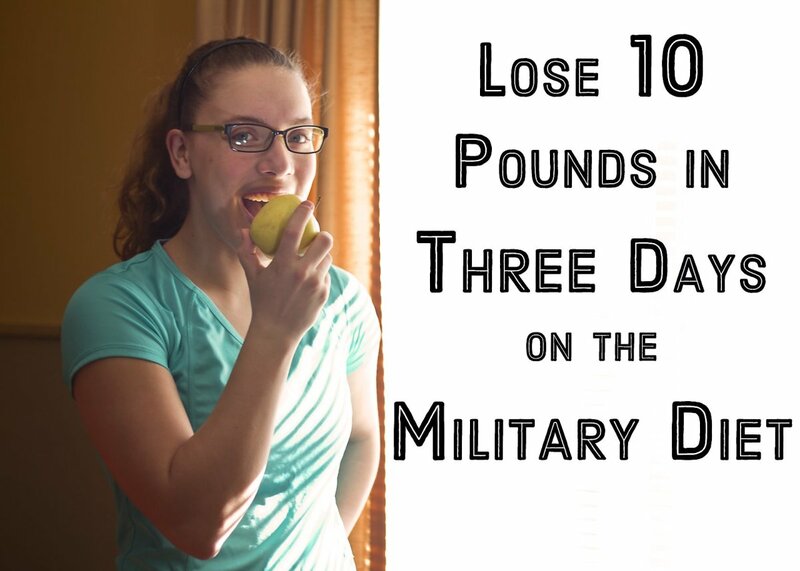 Since I first published the Military Diet diet online in 2007, countless people around the world have used it successfully to lose weight. Although there are copycats, this is the original, which is important because even a small change to this diet can set you up for poor results. Follow the diet exactly! I cannot stress this enough. The foods on the menu work together to boost metabolism, provide energy, help with sugar swings, and jump-start the fat-burning process. The diet must be followed for three consecutive days. 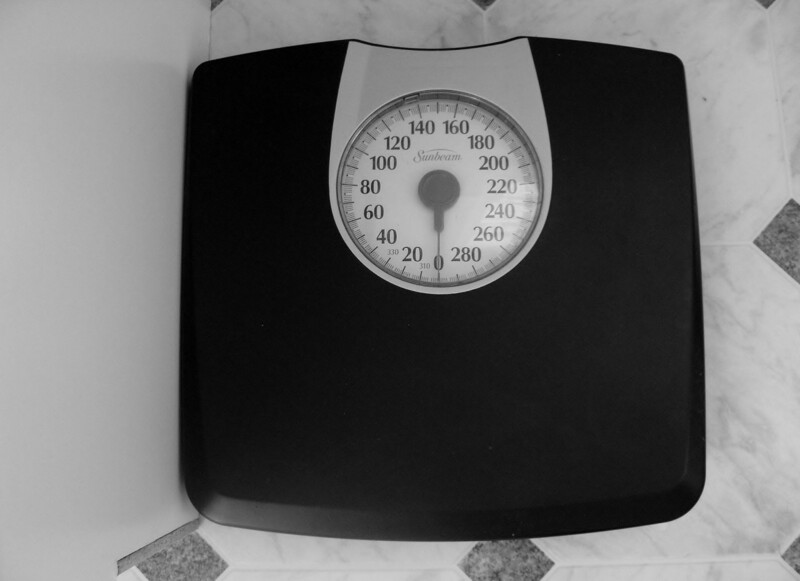 Weigh yourself on the morning of the first day, but not again until the morning of the fourth day. Take your measurements too. If you gain muscle, you may not weigh less but you may lose inches. Weight can also fluctuate unpredictably (and make you discouraged). This is important so that you stay focused and positive. 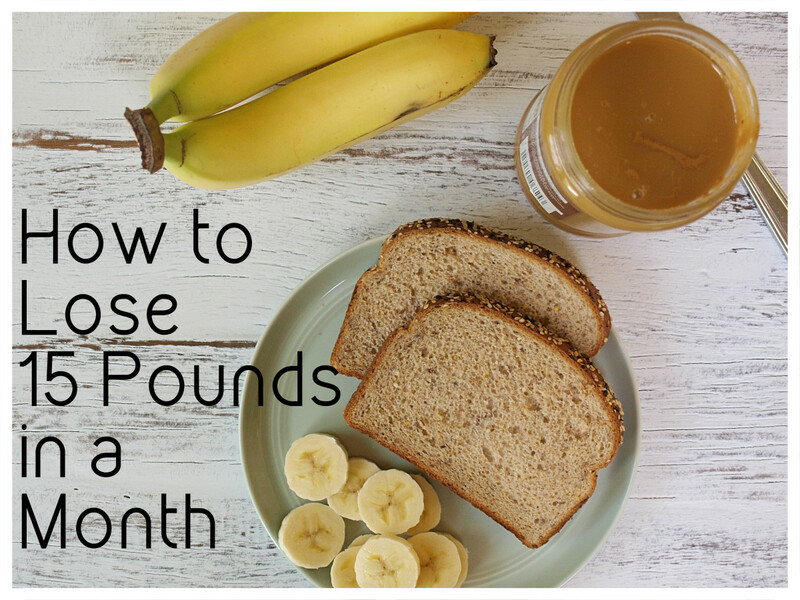 In three days you should lose up to 10 pounds. Some people report losing more than that, others less. Every metabolism is different! After three days, eat as you normally do, but don’t over-do it! No snacking between meals! Eat all foods listed for a meal at mealtime. Don't save anything for snacks. You're trying to re-wire your metabolism! You can repeat the diet, but take a break and eat normally for at least four days before beginning it again. You could lose up to 40 pounds in a month if you follow these guidelines precisely. 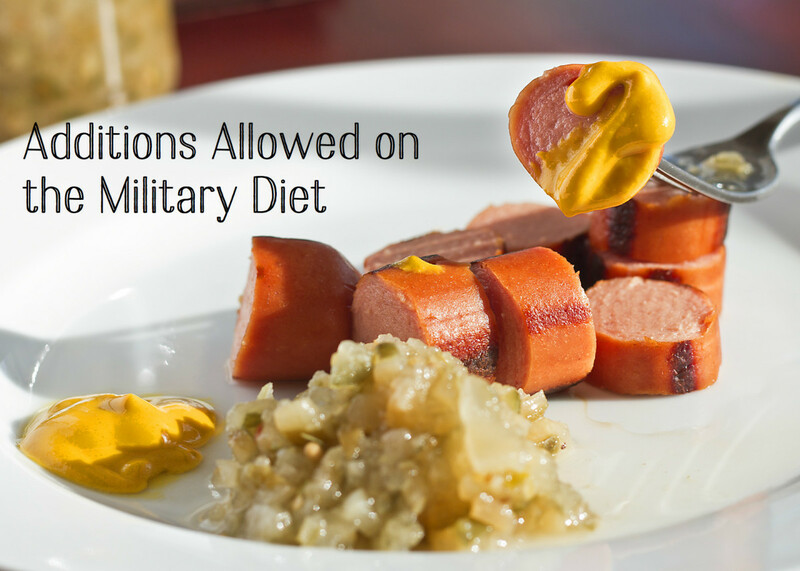 Is the Military Diet sustainable? Nutrition experts caution that for many, this diet will not lead to long-term weight loss. "The highest likelihood of success comes with changing as little as possible to get your weight down, not overhauling everything," says Dr. Charlie Seltzer, a physician in Philadelphia with a specialty in weight loss. 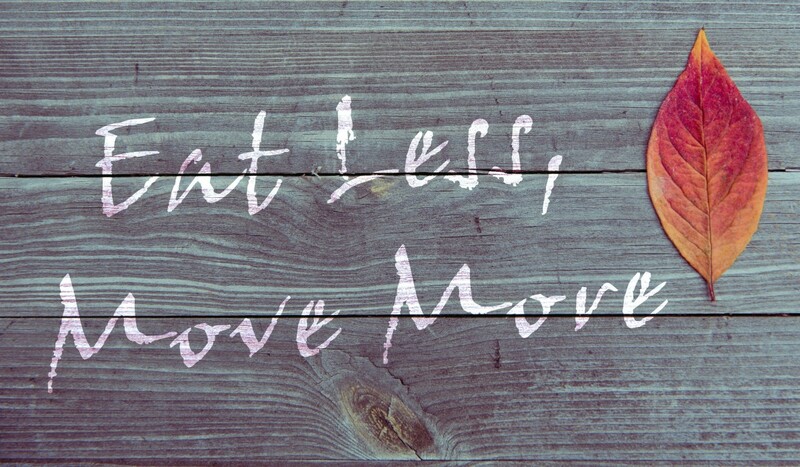 "Over time, small, sustainable changes equals big sustainable, weight loss." Having said that, this three-day diet can work to jump-start a weight-loss plan. Before starting this or any diet, check with your doctor. Read on for facts and information, but whether this diet is right for you is up to you and your physician. Meat of any type, including (but not limited to) seafood, beef, pork, or poultry. If using canned or deli meat, look for low-sodium. 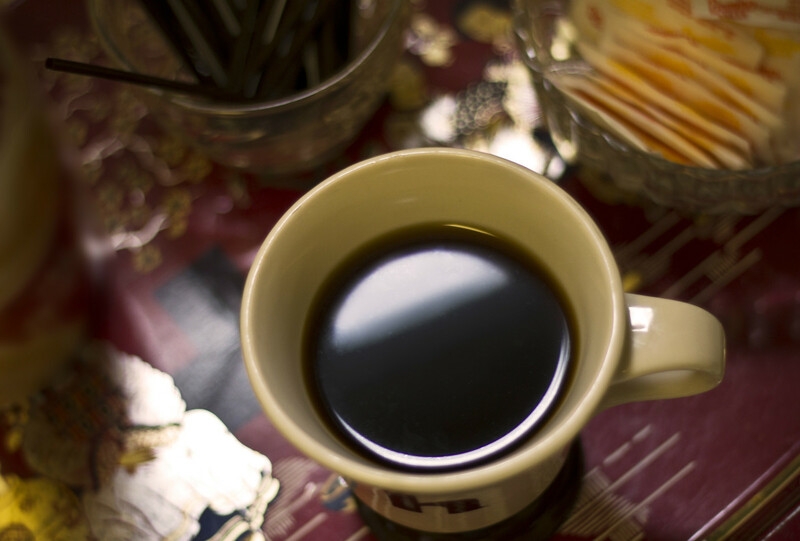 You can add Splenda to sweeten your black coffee or tea, but don't use any milk. Caffeinated coffee or black tea for the first two meals of day one only. No added sugar or milk. Water only from then on. Here is what to aim for: Take half of your weight in pounds and drink at least that many ounces of water. For example, if you weigh 160 pounds, drink at least 80 ounces of water per day (more if you exercise vigorously). Sugar-free hot chocolate made with water, not milk. 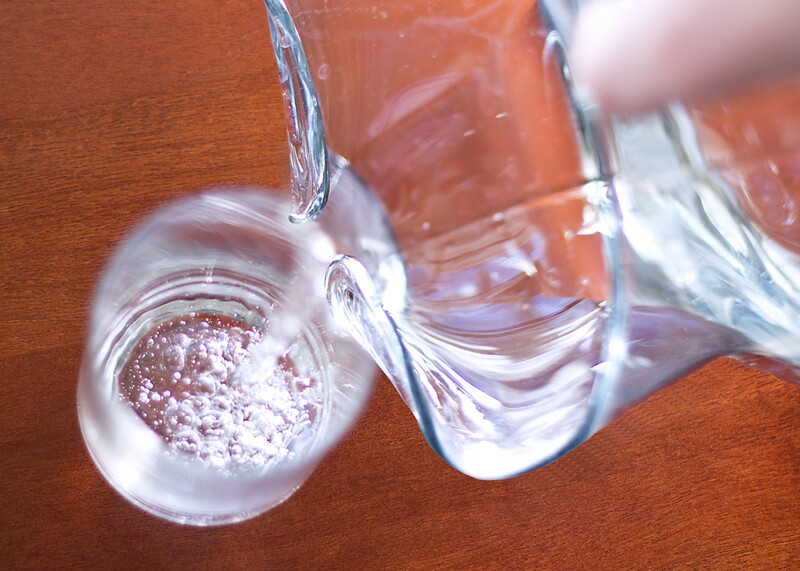 Take half of your weight (in pounds) and drink at least that many ounces of water. For example, if you weigh 160 pounds, drink at least 80 ounces of water per day. It's day one! 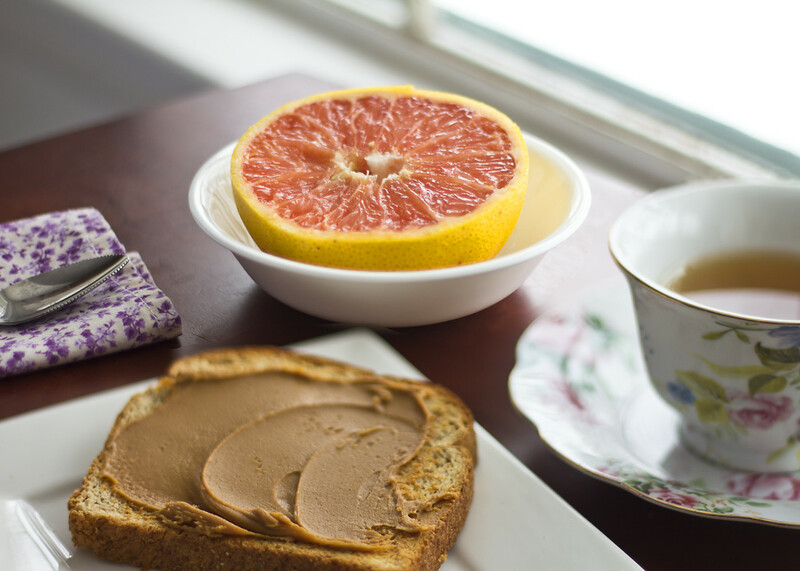 Get started right with a good breakfast of grapefruit, toast, peanut butter, and tea or coffee. Use either smooth or crunchy peanut butter. Day One Calorie Intake: 1,221 calories. Be sure to prepare your chicken without any added fat. Starting today, drink only water. Prepare your egg any way you like. 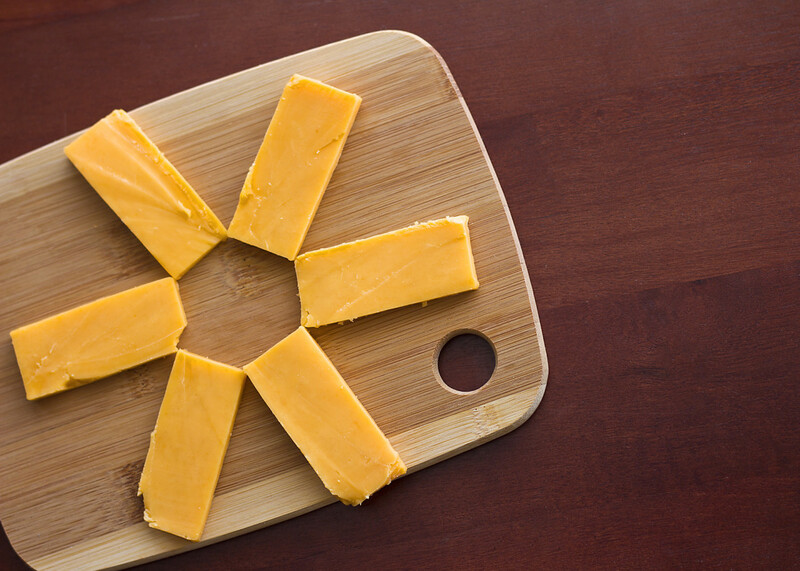 If you don't like cottage cheese, substitute with a slice (2 ounces) of cheddar cheese. Feel free to add mustard, relish, and the other additions listed below to your meals. Day Two Calorie Intake: 1,139 calories. Beef or turkey hot dogs are best. You're nearly done! Be sure to stay hydrated today. Remember: If you want to replace the cheddar cheese for breakfast, you can substitute a cup of cottage cheese or 2 ounces of ham. If you prefer cottage cheese, substitute it for the cheddar cheese. 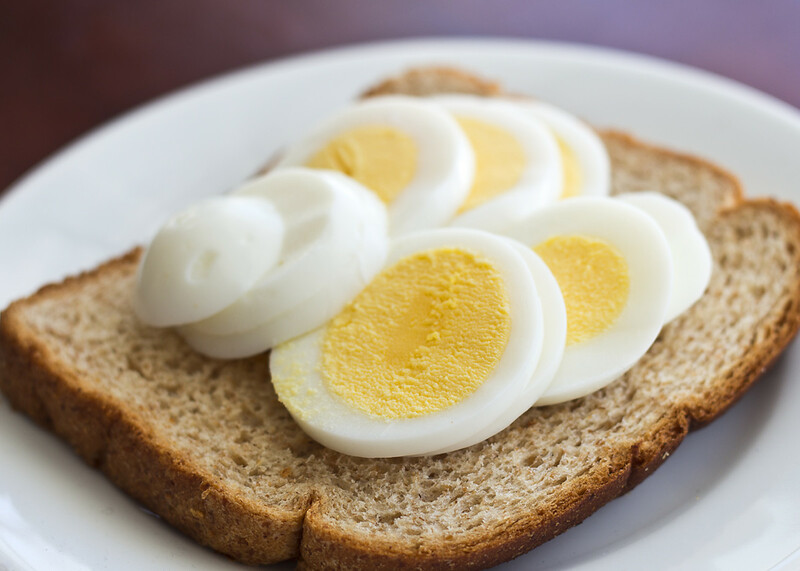 A little salt and pepper perk up a hardboiled egg. Day Three Calorie Intake: 843 calories. Enjoy your last meal on the Military Diet! Five ounces of a meal replacement shake or two ounces of low-fat yogurt with 1/2 teaspoon flax seed can be substituted for a slice of toast. The foods recommended for this diet work together to boost metabolism, so it is not recommended that you substitute any foods. The results are not guaranteed and the diet may not work if not followed precisely. If you must find an alternative to a food on the diet for a health or medical reason, here are the best choices with the same nutritional value. 1 ounce (1/8 cup) sunflower kernels. Note that sunflower kernels are naturally gluten-free but don't choose the Planters brand as there are traces of gluten. 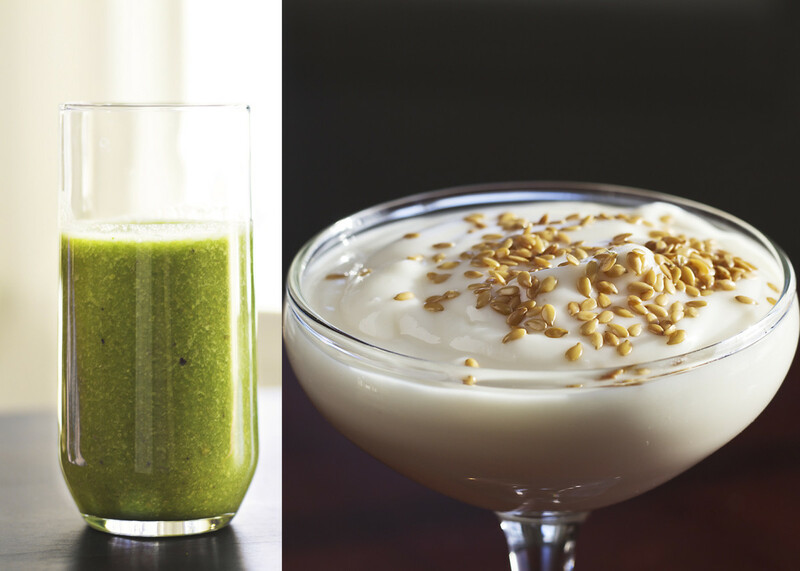 2 ounces (1/4 cup) low-fat yogurt with 1/2 teaspoon flax seeds. Same amount of cottage cheese for tuna. Same amount of tofu for tuna. Any type of beans or lentils (4 ounces per frank). 1/2 of a high protein bar for toast. 1/2 cup of unsweetened whole grain cereal for toast. 5 ounces of meal replacement shake for toast. Can substitute chicken for tuna. Can substitute strawberry or vanilla flavored milk (but not chocolate) for ice cream. Can substitute low-fat yogurt with fruit for ice cream. Can substitute apple juice for ice cream. Can substitute bratwurst for hot dogs. Feel free to substitute soy or sunflower seed butter, or sunflower kernels, for the same measurement of peanut butter. Cook the green beans with the meat or simmer in broth. 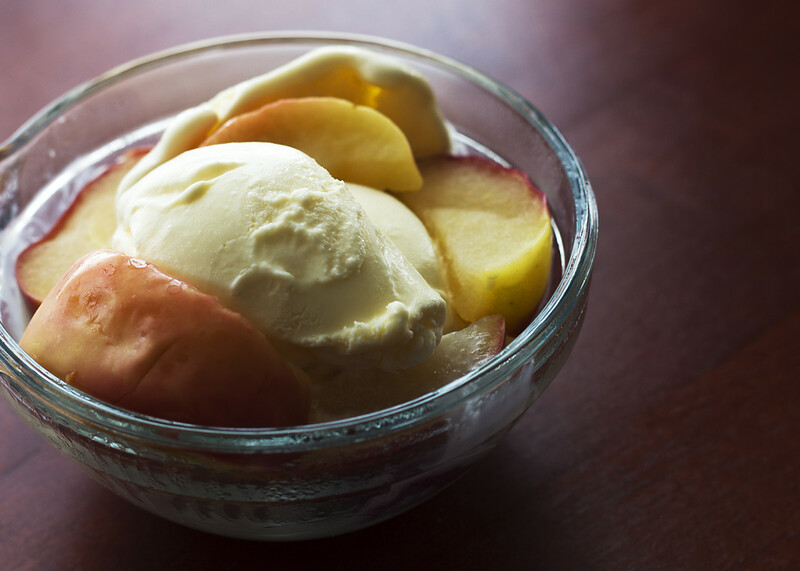 Warm the apple and/or banana and pour over the ice cream. Yum! 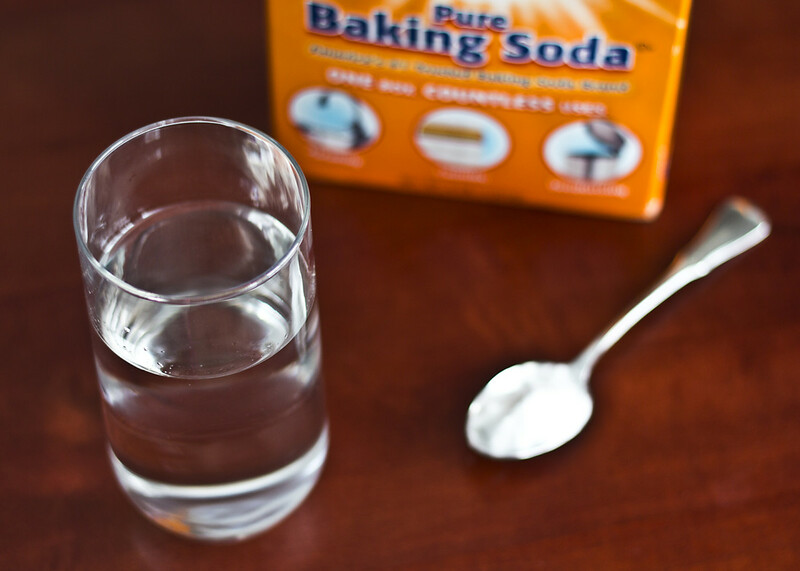 To swap out the grapefruit, mix 1/2 teaspoon baking soda in a glass of water. Drink the mixture at least 30 minutes before eating and have a different piece of fruit, preferably a citrus fruit, with your meal. 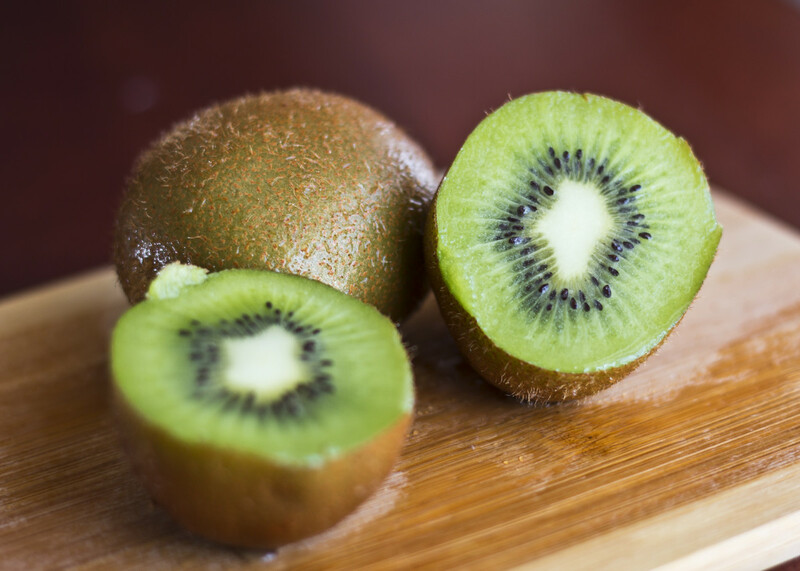 One kiwi, one cup of papaya, or two whole apricots can be substituted for 1/2 banana. 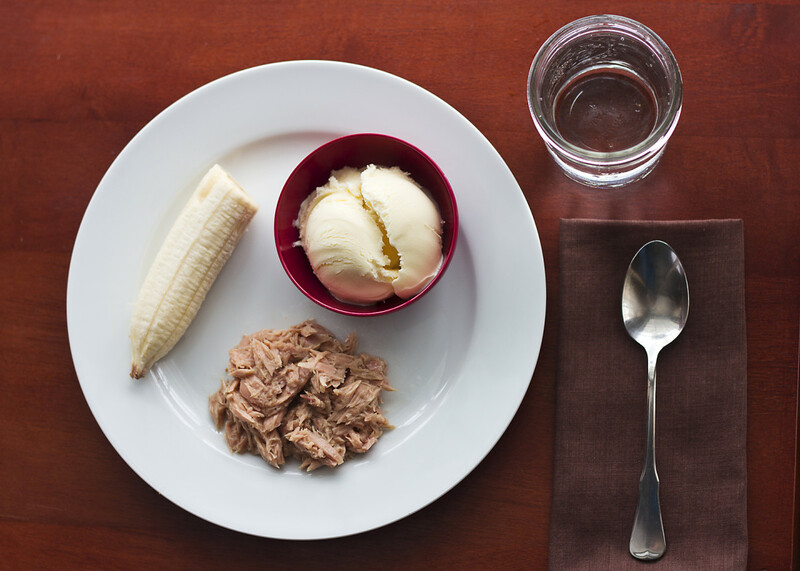 A good substitute for tuna is a same-sized portion of cottage cheese. 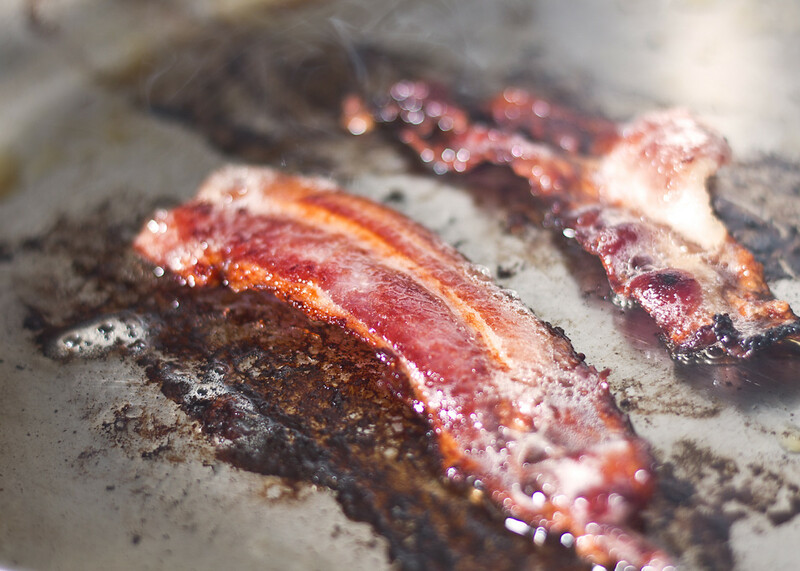 Substitute two slices of bacon, a cup of milk, one chicken wing, or 1/4 seeds or nuts for a whole cooked egg. 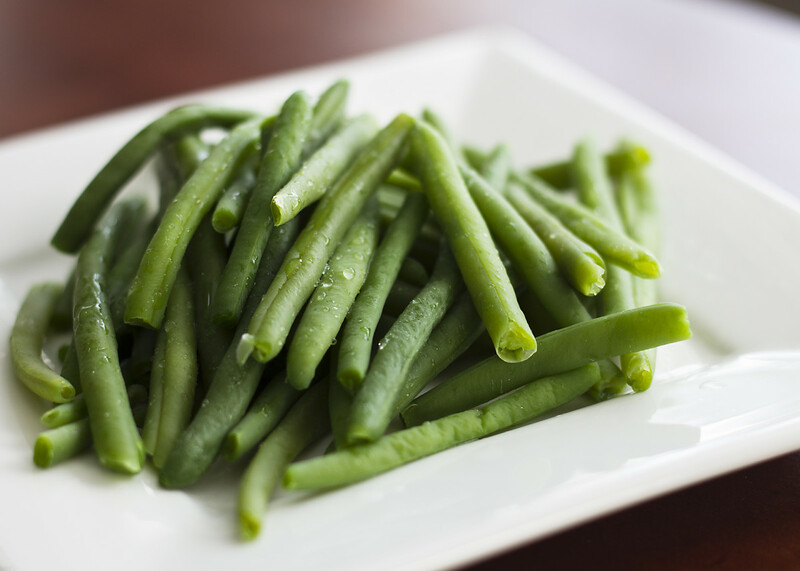 To swap out green beans, have three cups of fresh (or one cup cooked and drained) spinach, a salad of lettuce and a few cherry tomatoes, or the same measurement of just tomatoes. 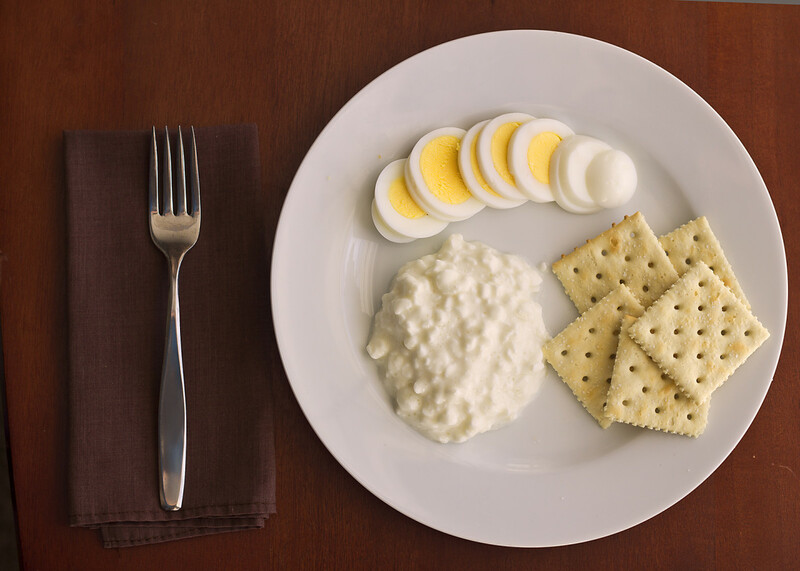 Substitute two ounces cheddar cheese for one cup of cottage cheese. If you don't want cheddar cheese, you can have two eggs or two ounces of ham. 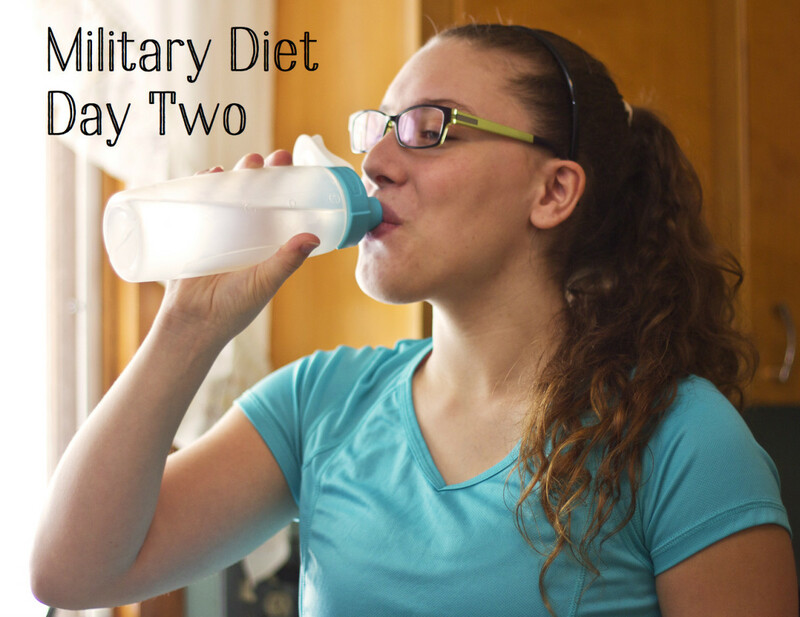 Can I Repeat the Military Diet to Lose More Weight? 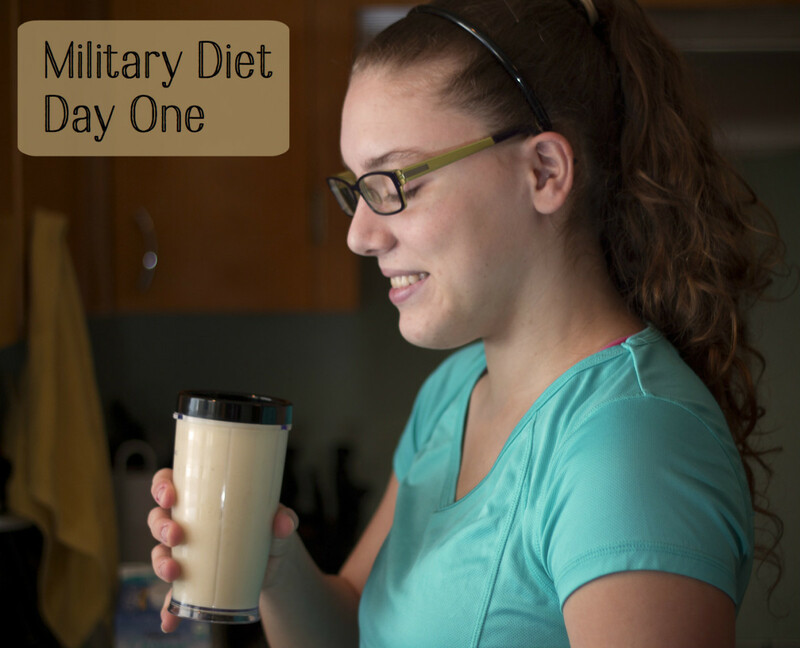 If you want to repeat the Military Diet, eat normally for at least four days before doing the three-day diet again. You could lose up to 40 pounds in a month if you follow these guidelines precisely. How Do I Make the Most of the Four Days Off? 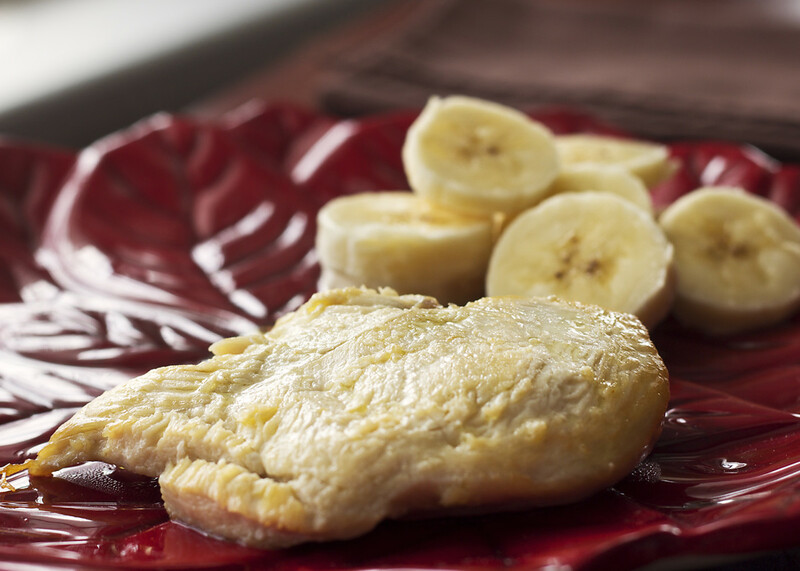 Keep your protein sources light (salmon and chicken breast are the best meat choices). Eat low-sugar and high-fiber fruits and vegetables at every meal. Make sure your carbohydrate choices are whole-grain. 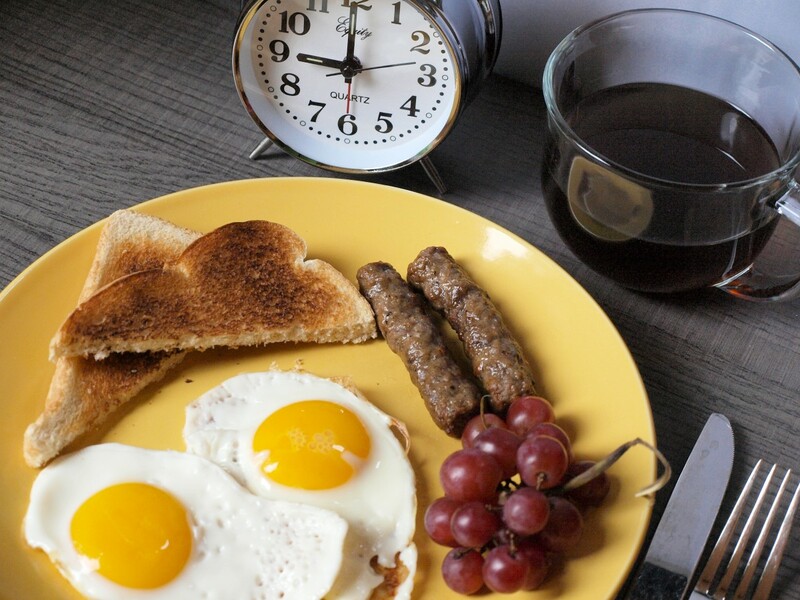 Is the 3-Day Diet an Intermittent Fasting Diet? No, because there are no periods of fasting. It could be considered a very low-calorie diet though because the daily calorie intake is below the recommended 1,500 daily calories recommended for weight loss. Isn't Most of the Weight-Loss Water Weight? What About Losing Fat? Especially if you are very overweight, your initial weight-loss will be water. If you repeat the diet, however, and begin to generally improve your eating habits (even on your days off) you will begin to burn fat because you will be consuming fewer calories than you burn for energy. Is This Diet Recommended by the American Heart Association? No, it isn't. However, several readers mention (in the comments below) that heart doctors have recommended using a diet similar to this one to help them lose weight quickly before surgery. To me, that just reinforces the effectiveness of the concept. Some great weight-loss exercises include jogging, walking briskly, using an elliptical machine, swimming, jumping rope, and using a treadmill. Many readers ask whether they should exercise on this diet. The answer is yes! Remember, this diet is used by the military and you don't find those people sitting on their rumps! The type and duration of exercise you choose depends on your current activity level and how lean you are. If you are severely overweight, you might choose a brisk walk around the block. That’s great—just keep moving! You may only be able to walk around the block this week, but next week you can try two! If you are already active and have more muscle, go ahead and push yourself. You'll gain even more muscle and the more muscle you gain, the more you can exercise! You'll look leaner and more toned and will be much healthier in general. How did I come up with all of this? A military gentleman who attended our church some years back introduced me to this diet. He said that military recruits use this diet when they need to get in shape quickly. Since then I’ve done extensive research and heard from countless people who have tried this plan. Combined with my own personal trial and error, the diet that follows is carefully tested and includes advice to help you succeed. Feel confident and see the results for yourself! Take half of your weight (in pounds) and drink at least that many ounces of water every day. I'm Afraid of Yo-Yo Dieting! Whether you repeat the Military Diet after four days off or not, gaining the weight back is a concern. If you eat cheesecake and candy bars instead of fruit, you may indeed gain it back! However, it doesn't have to be that way. Keep up your good eating habits and stay active and you will keep the weight off. For help staying focused, I suggest this free service: My Fitness Pal. This online tool can be used with a computer or mobile device to help you keep track of what you eat. It's easy and will help you stay on track. You can keep track of exercise, too. Continue to drink your water as before. Here’s what to aim for: Take half of your weight (in pounds) and drink at least that many ounces of water. For example if you weigh 160 pounds, drink at least 80 ounces of water per day (more if you exercise vigorously). Take dietary supplements including a good multi-vitamin/mineral supplement. Some other good choices are Omega 3, herbal system cleansers, and food enzymes. (DO NOT take supplements during the three days of the diet unless recommended by a healthcare provider). Continue eating nutrition-packed food, although in more variety. If you plan to continue the Military Diet, use your four days off to refocus and prepare for the three days back on by shopping, cooking ahead of time, and ridding the house of tempting foods. Whether it's a family member, a weight-loss support group, the Three Day, Military Diet Facebook page, or the comments section below, reach out if you have questions or need motivation. Also, return the favor to others. You may be the one that gives someone the exact words they need to succeed! These are people just like you who found success using the Military Diet. I'm sure that the stories featured here will inspire and motivate you to achieve your own goals. 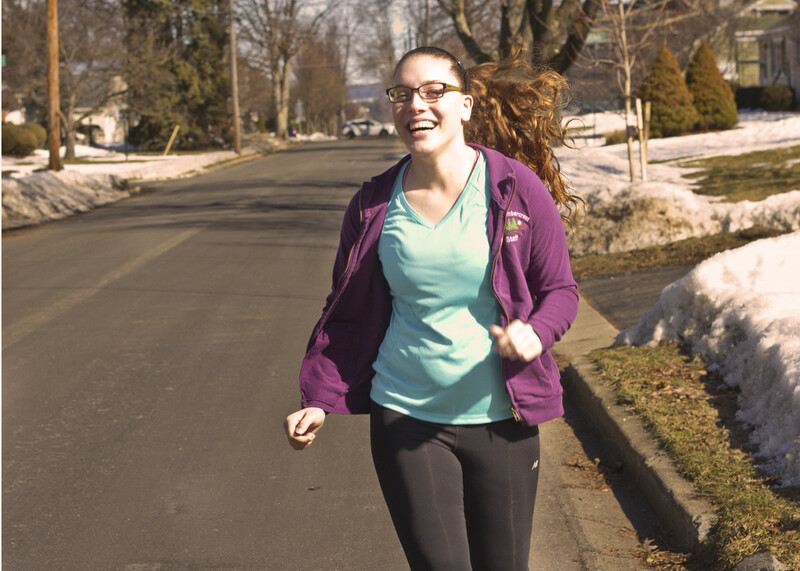 Becca lost 87.2 pounds through diet and exercise. "I'm sure that the Military Diet has saved my life! Let’s be honest: Weighing 332.2 lbs at age 32 isn't much of a life. 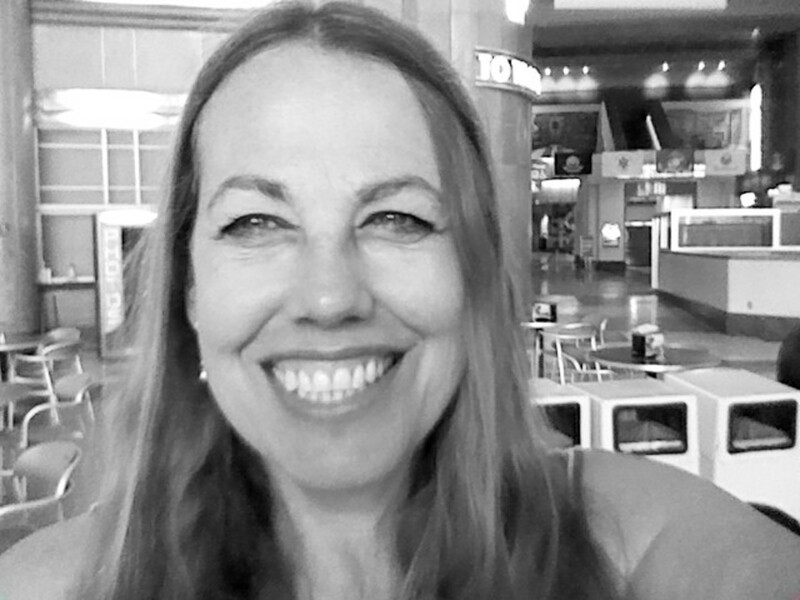 I was an active person, but still it took a lot of oomph to get me moving and feeling good! Since I have found and started this meal plan, it has been an amazing adventure! I have dropped weight, increased my activity level, and I feel more confident with myself in everything I do. 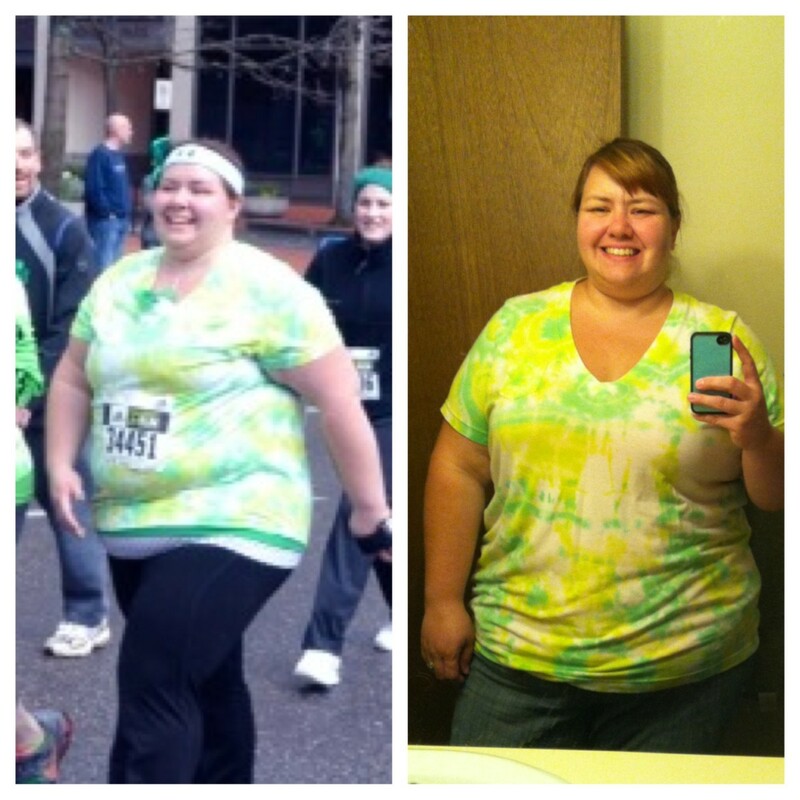 In March, 2012, while I was still at my highest weight, I completed my first 5K. Then, by walking, doing cardio hip hop, and watching what I ate, I managed to lose 20 pounds. However, when the scale stopped going down I thought I was stuck. That July, I started this amazing, three-day diet. I told myself that it's only three days, I’ll give it a shot. In the first week, I was down 10 lbs. The weight just kept melting away. I am now down almost 70 lbs. (67.2lbs). I've done this in two months with a few weeks off for vacation and getting back into our school routine. That’s a total of 87.2 lbs since March! I just finished my fifth 5K and have plans of working toward a half marathon! I would have never imagined doing this had I not found this amazing meal plan." Way to go, Becca! We're proud of you. We'll keep watching for your updates of progress. You’re such an inspiration to us all! 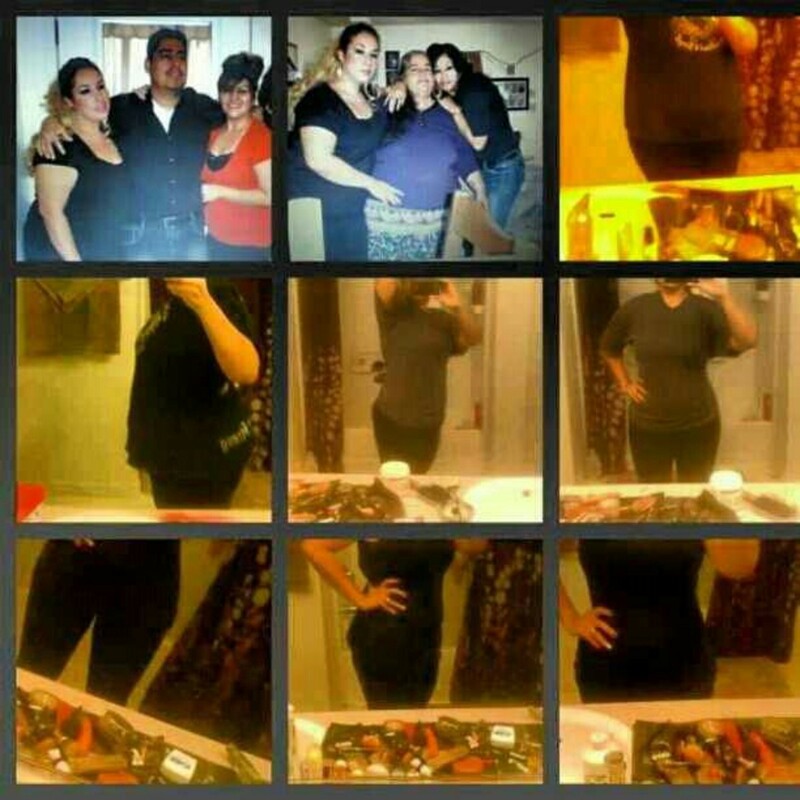 Perla lost 80 pounds through diet and regular workouts. "I'm a military wife and a mother of three children. Being a military wife is hard, so I found myself turning to food every time I felt sad, worried, or depressed. Because of this, I ballooned to 278 pounds. I was shocked that I had let myself get that unhealthy! Thankfully, the Military Diet gave me the boost that I needed. In February, 2012, I began following this plan religiously and also combined workouts four times a week. Now, I have managed to lose a total of 80 pounds! So I say, 'Everything is possible, never give up!'" Congratulations, Perla! Your experience is an inspiration! "Before the birth of my second child, my max weight was 241 pounds. I had gained double the weight with my second pregnancy, but had just accepted the weight gain as being healthy for myself and my baby girl. I was thinking that I would be able to lose it with no problem. Then, at my six week postpartum checkup, I was only down to 216 pounds. I thought to myself, "OK, now that it's been six weeks since my baby was born, I can get back on my exercise routine and lose this weight. No more of those, 'You just had a baby' excuses." Well, I got lazy, and my eating habits didn't change as I thought they would. I would catch myself eating double portions and getting second helpings to the cake, cookies, and all the other "good" stuff. I was going through some photos on our Ipad one day and I thought to myself, "Oh my . . . who is that lady sitting on our couch?" Looking closer, I realized it was ME! It was heartbreaking that I didn't even recognize myself. My three year old son had candidly taken a picture of me that evening. I'm so glad he did because that was the turning point for me. I had to do something. Only I can change this, right? One day, as I was browsing on Pinterest, I noticed a link to this article. I was thinking, "WOW! Is this for real? It's probably just another diet that won't work for me." After reading into it further, I decided to give it a try. I'm so glad that I did and that I stayed committed. I never gave up no matter how hungry I was. It changed my life in every way! Now, I don't avoid mirrors anymore. I am getting rid of clothes that are too big, rather than too small. I feel better mentally, physically, and emotionally. I have confidence now that I've never carried with me before! I'm healthier, and just feel better all the way around; more than I have in my entire life! Another thing that makes this experience even better for me is that I just received my lab results from my physician yesterday, and they are better than they have ever been! I just completed my 15th week and had my weigh-in this morning. I am proud to say that I've reached my weight loss goal of 45 pounds! I am so proud of myself for staying committed to this diet plan and to my exercise routine. I once read a quote on this diet's Facebook page that has stuck with me ever since: "Life isn't a remote. So get up and change it yourself." That's exactly what I did and I will never regret it. So now I say to you, 'Stay committed and NEVER give up! This diet does work and will work for you!'" Hooray for Renee! We are all celebrating your success with you! I encourage everyone to share their experiences and successes in the comment area below. Please feel free to cheer each other on, give helpful tips, make friends, and just have some fun! I hope everyone finds this page useful and that it helps you in your weight loss journey. (As usual, please use good manners and avoid rude comments. Keep it friendly and be polite! 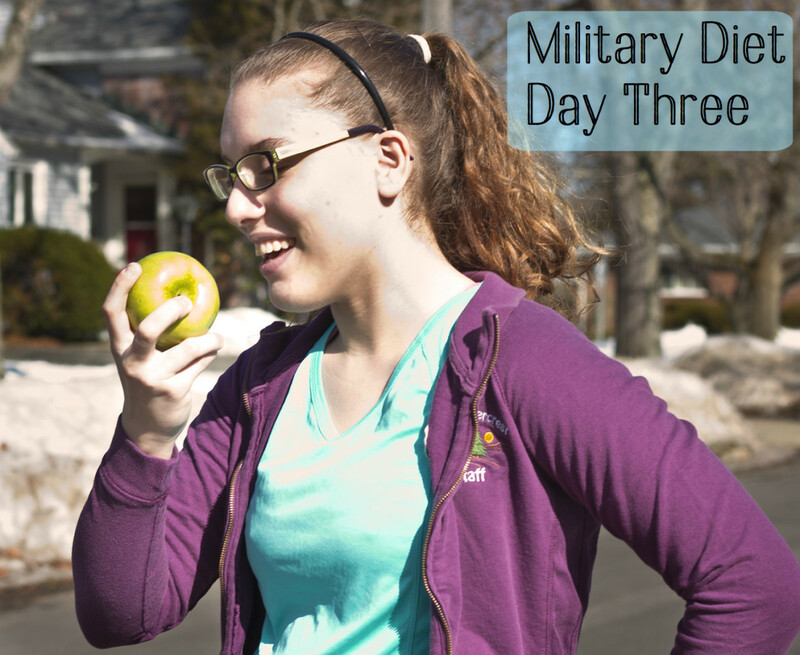 How much weight have you lost on the Three Day, Military Diet? (Please only vote if you've done the diet correctly for at least 3 days). I didn't lose on this diet. I don't drink coffee or tea. Can I replace it with something else or leave it out all together? It is very important to follow the plan as precisely as possible since the menu items are strategically placed down to a science to work together. However, sometimes food allergies or intolerances may lead to a substitute. The purpose of caffeine is to jump-start the thermogenesis that we're looking for to get the fat burning mode turned on. If you absolutely cannot take caffeine, try taking a B-complex vitamin in the place of the caffeine during the meals that require it. I hate tuna. 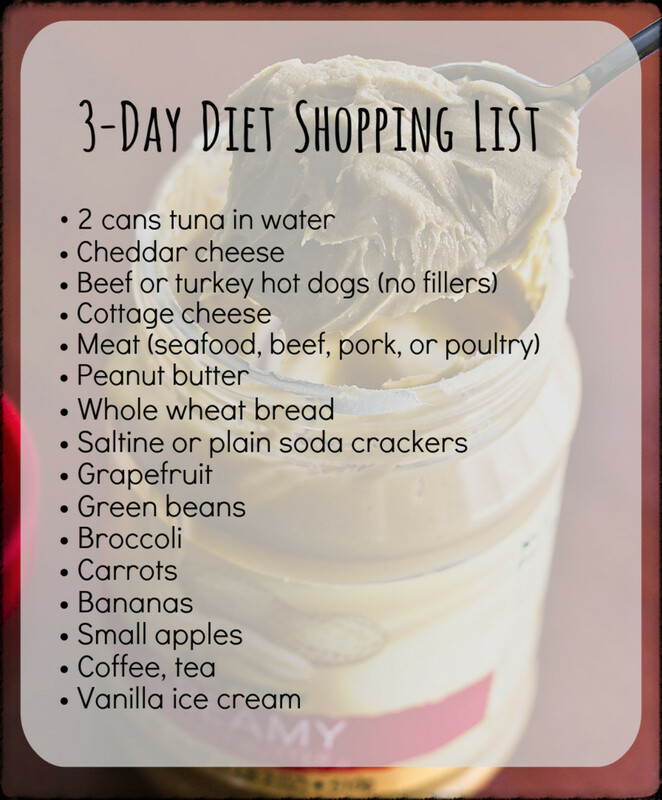 Is it possible to substitute with canned salmon for this diet plan? 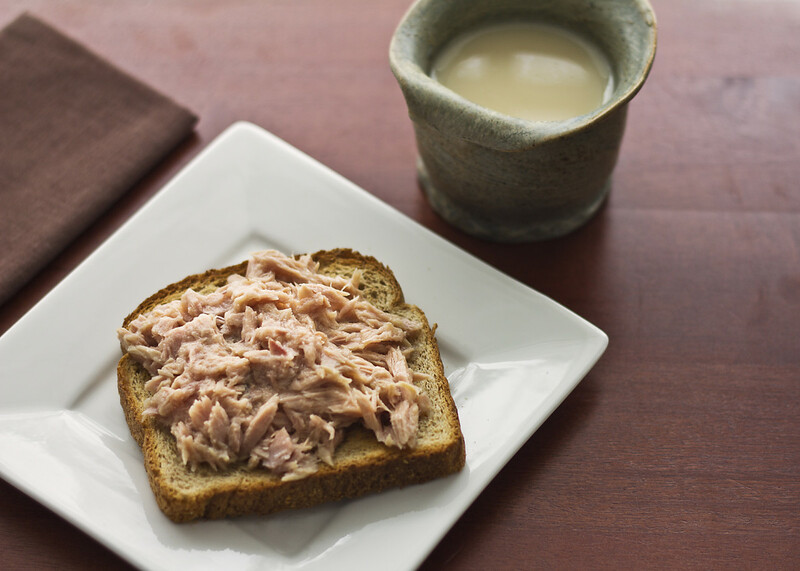 Your best options for substituting tuna would be to choose another lean protein such as another type of fish, or poultry, such as turkey and/or chicken. Avoid overly processed food choices. Rather than stopping the diet after the three days, can I continue for longer without stopping? The purpose of the four-day break is to add variety and to increase caloric intake to avoid going into starvation mode. Some have successfully continued the diet with less break in between, but the key is to listen to your body. If you start to experience burnout, or if your weight loss slows considerably, go ahead and take the four-day break to refocus, refuel, and reset your metabolism. Due to the lengthy comments section, the newest comments are displayed first. 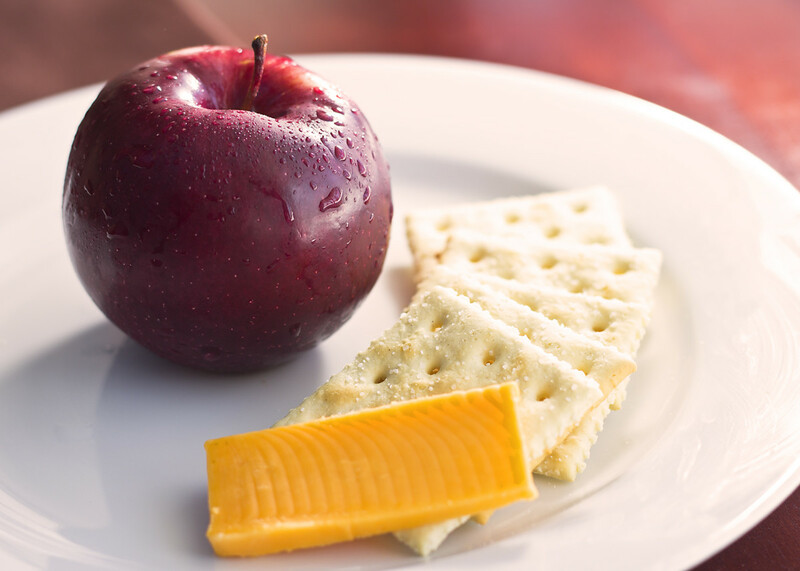 can I substitute saltine crackers for a whole wheat toast? Had broccoli both days instead of beans(don't like beans). Lost 5lbs! I drank lots of water with lemon every day. 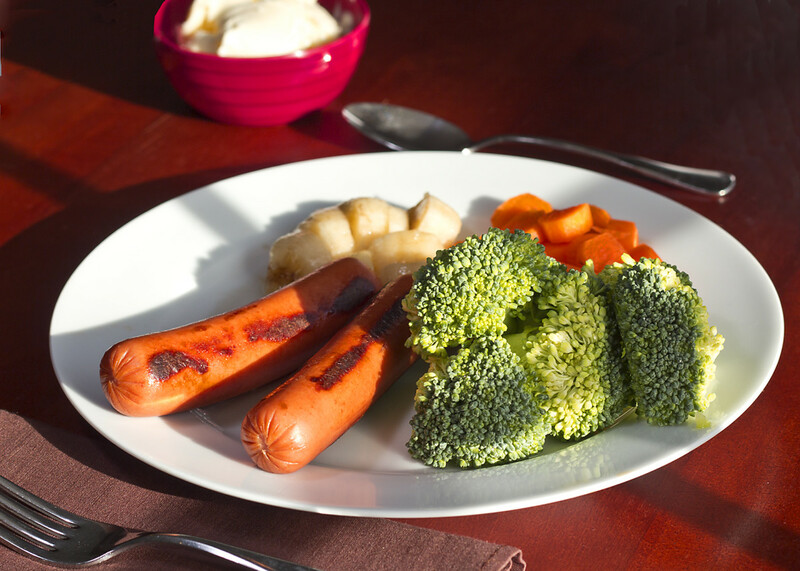 Can the broccoli and carrots be cooked or do they need to be eaten raw? Lost a bit of weight on here and helped curb my appetite. Going to do it again and hope to lose 10!! I've never had cottage cheese. 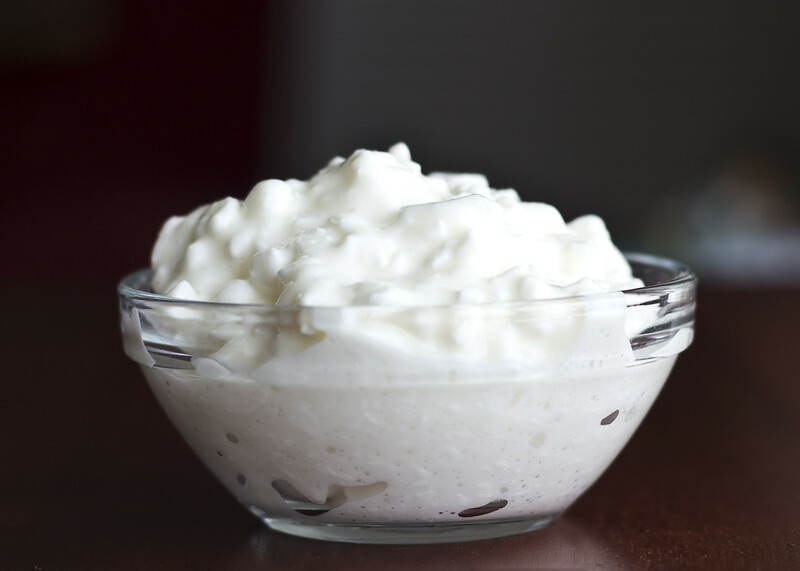 What can you substitute for cottage cheese? I like the old military diet but I think I’m going to try the new one I lost 25 lbs in all still using the older military diet , I love it !!! Find a walk one can do every day, then do the walk 2 times a day, Once in the morning, and evening. Thank you! I lost 5.8lb in 3 days. I slept lot longer during the diet as I had some headaches day 2 and 3. I drank a lot of hot water as its cold. I'll try this diet again as I like the food items. I hope u will be happy next time , I just started today. This worked for me. I lost 5 pounds. If I did this again, I would add more food to the last day. It wasn’t enough calories. By the time I finished my workout, I was negative 2 calories from what I was supposed to eat in a day to be healthy. It was a good jump start though. I can’t have grapefruit, what can I substitute it with? great kick start plan. I weight 205 at start. Three days later 196 (same scale). Missed coffee day 2 and 3 but got through it. I kept reminding myself "there is ice cream at the end of the day". I definitely will be repeating this program at least twice a month. I was skeptical of trying this diet due to multiple articles posted online that were made to debunk the viability of this diet. I first started on a Saturday morning, because I found out that I weighed 164 pounds. My weight limit was 165 for the military. My goal was to be at least 10 pounds under the cut off. I ate everything it told me to but I did add fresh lemon and pepper to season my dinners. On day 3 my weight was down to 157, so i lost a total of 7 pounds: which seems to be the mean of most peoples posted weight lost. I'm never the type to leave comments but I'd like to be someone real enough to come forward and say that it worked for me. I followed this diet to a tee and only lost 0.7 lbs not even a pound. I am 4'7" and petite just overweight. Should I cut the portions in half or cut out some of the items? Please help. I even drank all the water and I hate drinking water. I like Half and Half in my coffee. Can I switch the ice cream for my half and half?? I’ve done this several times with great results. Does it make anyone else’s bowels move more or is it just me? Lol. Seriously. It isn’t bad but I can’t be the only one. Hey guys. I’m down 6lbs in 1.5 days. With a bit of cardio and a lot of stretching. I’m sure if I do more cardio I’ll cut up more much faster. Sub grapefruit with baking in a glass of water followed by a glass of water with lemon/lime. I hate broccoli but I steamed it with the carrots tossed in lemon,garlic and pepper. Chopped up the cheese and tossed it after the veggies cooked. It was magical! Excited to keep doing this diet. Works if you stay dedicated. I hate, loathe, abhor, detest and despise cottage cheese. Since cottage cheese can be eaten in place of tuna, is the reverse also true; may I have tuna in place of cottage cheese? Total loss 10.8 pounds in 18 days! This has made me more aware of what im eating. I've learned to log my calories on the 4 days off of the military diet. It 's really easy for the calories to add up! ill begin Round 4 next week. Grand Total --------------- 8.2 in 10 days!!!! Can I just NOT have the ice cream? Just finished the first round! I lost 5.6 pounds-VERY HAPPY! - Salmon instead of the hot dogs. I did include a 10 minute exercise routine daily which i will increase over time. I will eat similarly for the next 4 days to include salads with proteins and blueberries replacing the apples then I will continue on to round 2. What is a substitute for broccoli? I just can't get it past my lips with out gagging. What do u sub for grapefruit? What is substitute for grape fruit? I messed up and ate half a banana instead a boiled egg for the lunch on the second day! :( Will this affect my results? Also, is it necessary to eat all of the ingredients of a meal at once? I saved half my apple from last night's dinner to eat as a snack closer to bed time.. is this ok, chemically? I am allergic to caffeine. What can I substitute for the caffeinated tea or coffee? Will herbal tea work? I've used this diet several times and it works like a charm! 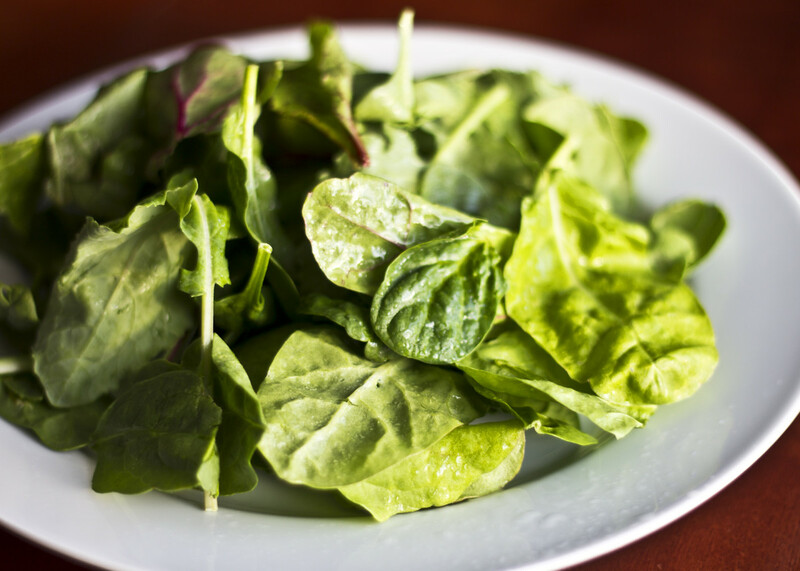 Will this diet work even with a hypo thyroidism condition? Followed exactly. No exercise. 12 lb loss. Hi! Let’s say I don’t like Grapefruit, do I have too eat the grapefruit in order for the diet to work? I’m allergic to apples. Could I potentially do pineapple? Or what would be the closest substitution? I’m actually allergic to a lot of fruit. I found out I am a diabetic. Can we still do this diet or do we need to do it different. When you say 1cup, How to measure it exactly in grams? I lost almost 10 lbs with some modifications. Day one breakfast less peanut butter and added 1/4 teaspoon jelly. Day one: Dinner meat was cube steak. Took out apple and made it a whole banana. I drank half my body weight in water the first day but after that just had coffee and water with each meal. Took a 3 day cleanse with it but I did not notice any difference from my normal routine. I have done this diet many times over the years with various success. Normally between 6-10 lbs. Day two is the hardest and if you eat exactly what is on day three, I have quit. That is the reason I did the modifications this last time. Hello.. just wanted to say thank you,thank you for sharing this eating plan. I am thrilled to announce that I lost 6 pounds!! I had started. On September 16..and loving my on going efforts with this plan. Have over 100 pounds to shed,and this method will be part of it. It's a structure,portion control and am not looking back!! Thank you so very much for sharing about the military diet.. it works for me and my future lifestyle change. Once again..thank you!! I'm on my third day and I forgot to eat my small apple for breakfast. Is there a problem with eating it with my lunch? Will it make a difference? And is French vanilla ice cream okay? @Michele 5 weeks ago - YES I did this diet in 1987. Exact same except beets are missing. It works. I'm going to run this diet this week and next week. Mon - Wed each week. I have been exercising a lot and lost 35 lbs in 6 months. Now I need a boost for these last 30 lbs. This Diet does work. I used it to lose 20 lbs in 1987. It is verbatim the exact same diet. Are there any good substitutes for the peanut butter, banana, and tuna since I'm allergic to them? Does this actually work? Right now I'm on the keto diet where you eat no carbs or sugar. I've been on it for like 8 days and lost 4 and a half pounds. Another 4 days, I wasn't really eating so this made me lose 8.5 pounds total. I'm trying to lose 6 more pounds in the next 6 days for a trip. Will this make me gain weight because I've been on keto and my body is used to it so if I eat carbs or sugar..will I gain or will it still work? Did everything I was suppose to. Did a fast 45 minute walk in the morning, then did yard work Drank all that water. And lost 1/2 a pound... not happy was a waste of my time. I thought eating ice cream was alittle strange. Had so much hope and now feeling cheated. Not happy!!! This is the second time I'm doing the military diet. The first time I did it I lost 7 pounds in three days. I can't drink caffeine and I know that is a huge part of this diet, but I still lost weight. Over the first night I lost 4 pounds. I was thrilled with the results so it encouraged me to keep going. I'm glad to say I don't have much to lose but just wanted to feel less bloated... and this diet worked. The third day is tough and you will be a little hungry but it's worth it because you will feel better. I didn't exercise at all during this diet so I may have had better results if I did. I'm a believer and have told a few friends about it. Good luck everyone. It's only 3 days... try it and stick to it! You get to eat hot dogs and ice cream! What about when the 3 days are up? I have about a month to shift as much weight as possible. This diet was the biggest craze back in late 80s & 90's. I believe it was called "The Cleveland Clinic diet" & yes I remember having pickled beets w/ some of the dinners. I worked with a bunch of woman that were doing this diet & they claimed it was working for them. Being in my early 20s, my metabolism was so high & had a hard time gaining weight (of course everyone hated me) being 5'2- 115lbs, I decided to to give it a try to see if it did work. I did lose 4lbs. 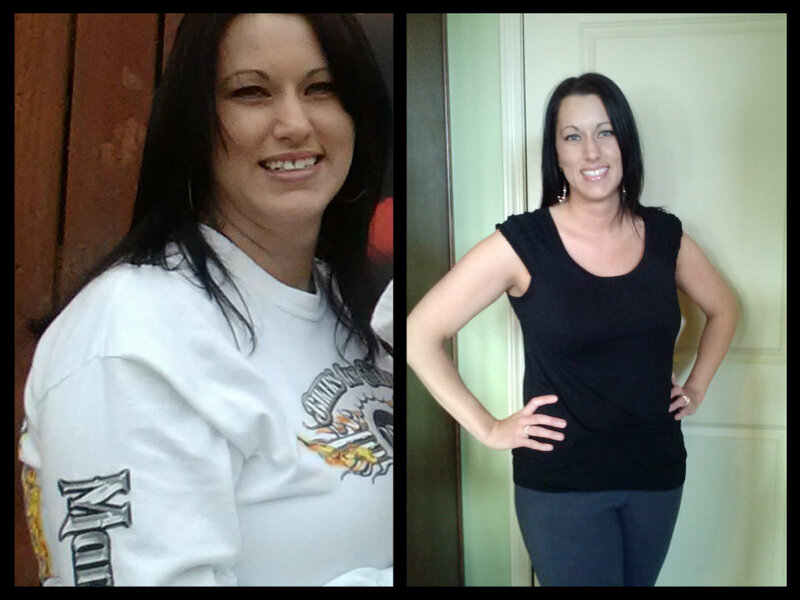 Now, 30 yrs later, 3 children & menopause has striken, & 50lbs heavier, I've decided it's time to try this again. I'm glad there are no beets in this one.That was the only thing I had a hard time with lol! I will post my results! Good luck everyone! Would it be ok to drink water with lemon no sugar? Thank you so much for creating such a convenient layout! The shopping list and substitute options are perfectly stated and organized and made starting this process so easy. I'm so excited to try it and hopefully see results! I've lost 25 pounds on normal diet and exercise (a combination of paleo and calorie counting), but I'm looking to change it up with slightly faster results. Thanks again! I'm weighting 186 pounds right now, I'm 5'5". I'm under the obese group. I did this diet two years ago and a lost a total of 20 pounds in 6 weeks. I was feeling great but unfortunately I went back to my old bad habits and now look at me! I'm ready to start it tomorrow Monday. It does work! But you need to stick to it! Am I able to substitute something for the coffee/tea? I don't drink either. Keeping to the specific diet and only substituting the specific choices for what is given is the Key for this to work! This is not only about caloric deficit, its about specific types of foods to jump start your metabolism and bring Ph balance to your body, along with a wide spread swath of macronutrients. Here in America we have a huge issue with 'more is better', we are given humongous portions all our lives in the 'super sized' culture, and many people do not understand how their bodies are supposed to feel with good food in their bodies, or what is feels like to be satisfied because find 'whole foods' to eat these days is challenging. If you do this specific calorie deficit diet, then go back to eating how you used to, (which for starters, is probably more than 1200 kcal a day) of course you are going to put it back on in the following days off! Allow your stomach to shrink and only eat what you need, listen to your body. This diet (i did it for 4 months and lost 45 lbs) taught me to listen to my body, to feed it the right things when I was hungry and not just follow my emotions or eyes. It taught me to stop eating when I was full...and since my stomach was not so stretched out from over eating...full came quicker! It means I kept off the weight! I'm starting the diet tomorrow. Oh please.... the diet works. Drink plenty of water, stop cheating walk 30 minutes and stop making excuses. If it didn't work you were snacking in between and at midnight. Works grate . Love this diet can't wait 4 days to pass to start it again . And for you who didn't lost any. Go to the gym. "Since I first developed the Military Diet diet in 2007" Maybe people are commenting about you saying you created it because of the first line of this article. 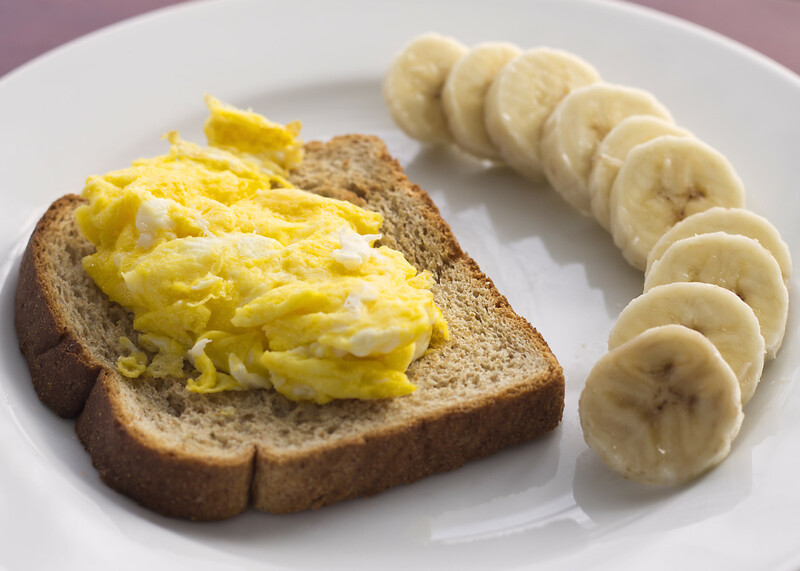 What can I substitute for bananas? 7 pounds the first week and right back on it every Monday thru Wednesday. People! Learn to READ! follow the diet exactly! you have to eat normally for 4 days after the 3 day diet bc this is not enough nutrition for your body to run on indefinitely! You have to consider that this is a diet, not a lifestyle! Starting today- going to be awesome. I'm 156 and I hope do be down to 145 or maybe even 140 in a few weeks, I'm 5' 9". I've read a lot of these comments- "I didn't loose too much" or "I gained weight"
Everybody remember to exercise please, I'm running 3 miles every night, doing 200 sit ups every morning, and swimming 1000 meters on day two and three. You can't just expect eating right to get you good results. I can't eat peanut butter what can I eat instead? This diet goes work though. Just finish I did it just exactly like its post and I just loose 2 lbs not very happy with the result but worth the try! Why do you have to go off diet for four days and then repeat the three days . I have lost 7lbs on this diet. I don't feel hungry at all, I hope to lose another 7lbs. I was wondering if you can use stevia or agave nectar for the tea. What if you do not drink coffee or tea? I don't want to start incorporating hot chocolate (whether sugar free or not) into my meal routines. I seen somewhere else doing a 1/2 can of sugar free red bull, but I also have never drank that. Do I just omit and up my water intake or do I need to replace it with something else? Can I do 1/2 cottage cheese and 1/2 tuna? Also apple pealed or skin left on? Can't I put lemon in my water? I'm a huge coffee drinker, is it okay to take caffeine pills on the 2nd & 3rd day? Not a new diet at all. I have used this several times through the years. It was developed by the Baptist Health Centers for heart patients. It works great and is safe. Great for you to share but shame for claiming to have created it. Stil, it is a good plan to share, especially with the substations. Best of success to those doing this! I can't have caffeine. Does this decrease effectiveness? Saw another can't have caffeine question but not an answer. Began the diet on Monday April 17th. Start weight was 170lbs. Today is day 4 - and weight is 166.4lbs. Not bad at all! Will continue on my off days and count my calorie and repeat again. My ex-husband was in the Navy in the mid 70's, we were stationed in Alameda, CA. I got this diet from the Doctor on the base. I lost 30 pounds. I also had to use a keto stick. I need to lose 10 pounds I am trying it again.